Norton Healthcare has grown to be the area’s leading health care provider with some of the most advanced technologies and well-trained physicians, nurses and staff in the area. Norton Healthcare includes five large hospitals, 13 Norton Immediate Care Centers and 190 physicians practice locations. Through their extensive reach, they are committed to caring for patients and our community. Norton Healthcare operates as a not-for-profit organization. Norton Healthcare invested $18 million in thermal storage and a cutting-edge hybrid energy plant at Norton Audubon Hospital. Although it’s a hefty investment, the hospital system’s energy initiative will help save nearly $1 million a year in energy costs, using natural gas to heat and cool the hospital instead of electric. 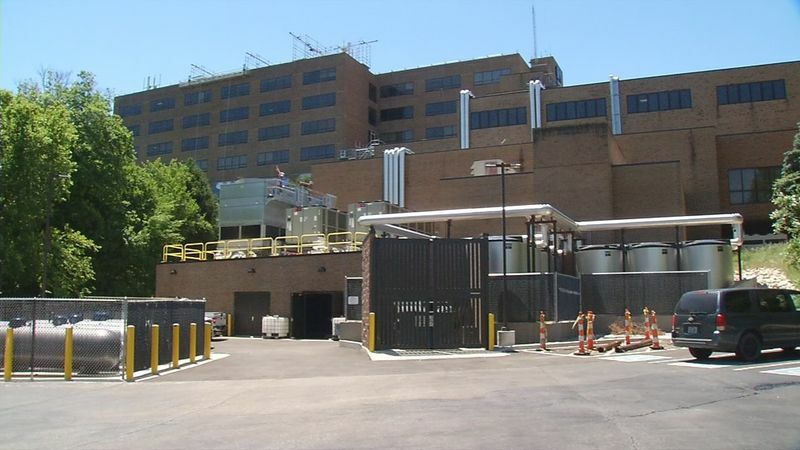 “We constructed a new hybrid energy plant that combines gas air-cooled chillers and a thermal ice storage system that produces cooling capacity for the building,” said Anthony Mathis, Director of Energy at Norton Healthcare. “Ice is made at night when utility costs are at their lowest, since demand is down. And then ice is melted during the day for the hospital’s cooling needs during the peak hours when utilities are at their maximum cost. The new plant also makes it easier to individually control the temperature in each room using a computer, which is a luxury for patients but a necessity for surgery. “If room A is 65 degrees, but room B needs to be 72 degrees, the addition… gives us the opportunity to control the rooms as a nurse or as the patient wants it,” Mathis said. Norton Healthcare started the energy initiative at Norton Audubon Hospital because of its aging infrastructure and rising energy costs. The initiative has resulted in reduced energy and maintenance costs, a smaller carbon footprint and better indoor air quality. Calhoun Construction partnered with Harshaw-Trane to build a new CEP Building to house new energy efficient mechanical equipment for Norton Audubon. The building utilized micropile foundations with an integrated structural concrete slab and new tank form to house supporting equipment.